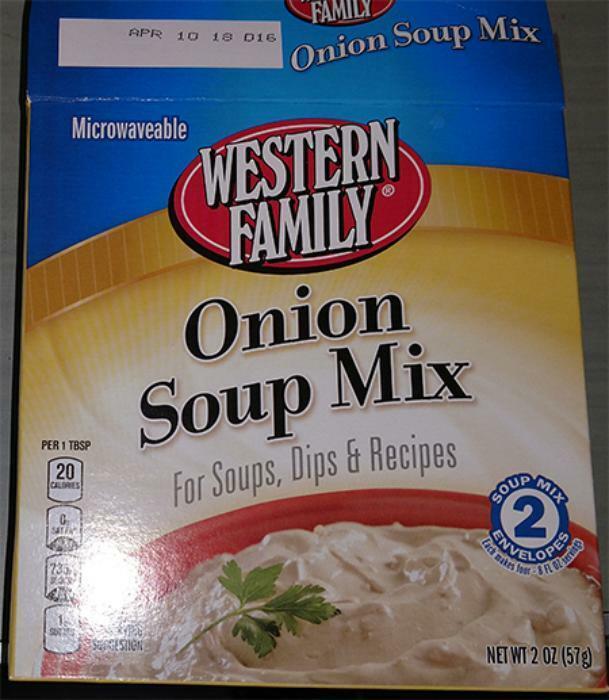 Gilster-Mary Lee of Chester, Ill., is recalling one lot of Western Family Onion Soup Mix. The recall involves Western Family Onion Soup Mix, packaged in 4.5-oz. cartons with a Best By date of APR 10 18 D16 (UPC# 15400-03604). The product was distributed exclusively to Associated Foods Warehouse in Farr West, Utah. Customers who purchased the recalled product should return it to the store for a full refund, or discard it. Consumers with questions may call Gilster-Mary Lee at 618-826-2361 ext. 3283 or 3035, 573-547-8345 ext. 2035 from 8:00 am to 4:30 pm (CST) Monday - Friday.